A massive jump from before which I attribute to some shielded cable, removal of all extensions, and disconnecting the bell wire. I did have a little crackle in voice calls only present when ADSL is connected. My setup is now really simple - BT faceplate, one spliter and then shielded cable to router (and actually now to the phone as well as an act of desperation). 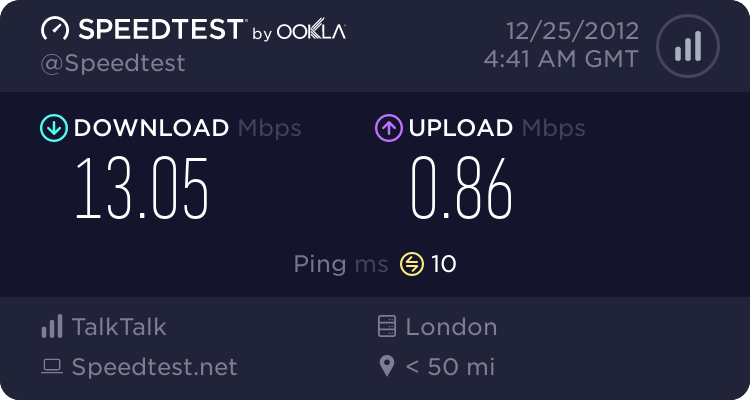 Recently now my broadband speeds have halved and the crackling on the voice line is terrible - but again only when ADSL is connected. I can clearly hear what sounds like modem dial up noises executing some kind of connection protocol when the DSL starts up. I have tried two different routers, numerous ADSL fiters, going direct to the test socket - it all makes no difference. I reported as a phone fault and the engineer found a problem 80m awsay from the house to fix but it made no difference. He also fitted a mark 3 filter faceplate and checked all connections. Again It made no difference. In the end he said I would have to log a broadband fault. I had the usual fight with indian call centre to convince them that its not my router and its not my ADSL filter and finally got them to agree to the broadband engineer that their phone line engineer told me I needed. So here I am a week later, engineer coming tomorrow, together with the threat of it costing £129 if the problem is found to be within my property. Does this sort of scenario sound familiar to anyone? It all sounds very much to me as if you have an HR (high resistance) fault on your line somewhere. Good luck with the visit tomorrow. The engineer should make a 'PQ' test, show a little interest and look over their shoulder, ask them to explain in laymans terms what each of the results mean. Pay special attention to the leg resistance (should hopefully be pretty balanced and the AC balance which should be over 60db. 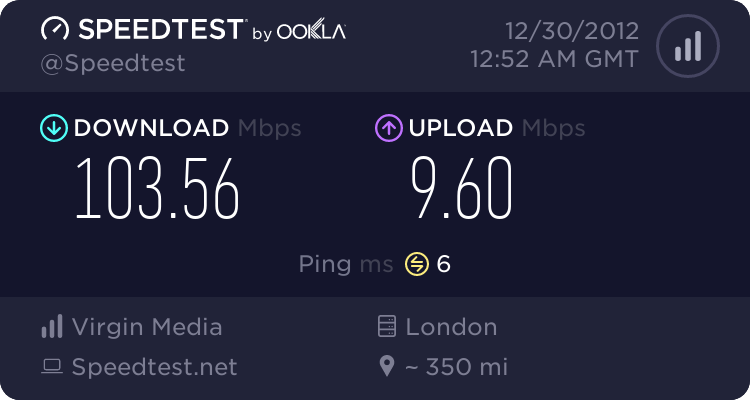 The PQ test returned good balance - near perfect in fact - but the engineer agreed that there was ADSL noise on the voice line and that bandwidth was down. His information showed that our line was "in the red" - not sure what he was looking at but he explained it meant we were worse off when compared to neighbours. He tested pretty rigorously and methodically from the master socket, up to the junction at the side of the house and then along the road back toward the exchange. He also said he would a log a job to replace some kit at the exchange - but again I'm not sure what. Work was pressing and he seemed keen to wind up the job so I did not have time to clarify further what was being fixed which I regret now. The upshot is that the ADSL related crackle has gone. It has been replaced with a much less intrusive background hiss/crackle that is present whether the ADSL is connected or not. This probably acceptable though I may investigate further. It seems to stop briefly when I rap the master socket with my knuckles. I'm hoping that this will climb further over time. Overall a good experience. The engineer was a great representative for BT. Salt of the earth. Practical. Rigorous. Listened. Spent time explaining. So very refreshing compared to the Bangalore call centre customer is wrong, computer says no, experience! His fix lasted a day and a half and we are now back with noisy line and half-speed broadband. Now when I try to get an engineer I am hitting a brick wall. The indian call centre that will not scehdule a visit and the BT call centre that say sorry a lot but also do nothing. Both promise to cal back and don't. I tried the live chat be the rep also gave no information and even tried to persuade me to text a premium rate number for status updates. I've been a BT customer for 25 years and an employee for 13. Feel very let down by the 151 experience. Good luck with the next visit (eventually) and if the engineer is tall and bald, be nice, it might be me ! Engineering staff have been great for this incident and always in the past. I'm really letting of steam here about the 151 experience. I would accept being told someone will come but it will take three weeks for them to appear. What I'm getting is we are testing, we won't send an engineer out yet, we will call you back (three unfulfilled promises - never happened), being disconnected when finally reaching a person (twice), why not send SMS messages to our premium rate number instead. I am not an angry person or in anyway difficult or abusive on the phone - cool and measured and persistent that I feel the previous fix was good. That I don't need yet another ADSL filter or a new router - been through all that - just someone coming out to recheck that previous fix. Instead I'm left feeling that no action is being taken at all and that each person I call is just finding a way of postponing action and not dealing with me. Done with online ranting now - just wanted to clarify where the service has been poor and where it has been good. I'd definitely go down the actionline route. It'll get dealt with someone here in the UK who knows what they're about. Not an employee anymore but as it turns out I got a call today. An engineer coming on Wednesday. I've been given a name and number to speak to if the issue continues after that so I don;t need to start over. Sounds like my issue but I'm on VDSL2. After several engineer visits and eventual line pair swap, back to normal. What happens to the phone line if you plug the router in but don't power it up? I think it won't make much difference. Disconnecting the ADSL connection through the routers screens is enough to make the noise disappear. I suspect with the modem powered off the voice line will be good. If the noise occurs with two different modems/routers only when they have established a DSL connection, then I did wonder whether there is a faulty port at the exchange which generates noise when it is replying to your equipment. Have you tried asking your ISP to get you connected to a different port? Just a possibly daft suggestion. What happens if you replace that shielded cable between the router and filter with a bog standard DSL one? AIUI you introduced the shielded cable whilst the engineer-fixed remote fault was present. Well I have eliminated the shielded cable and the Billion 7800N router by plugging in the home hub that BT sent into the test socket using alternative filters and still get the issue. Its sure got to be something between the house and the exchange. One engineer "Robert" also rigged things up so the copper pair came straight from the overhead wire through the first floor window to my router and still saw the issue. So this really takes out the length of cable down the side of the house, the junction box as it comes in the house, the cable to the master socket and the master socket itself. I guess it would be useful to repeat that test with the home hub BT sent just to absolutely prove the issue is outside my house. Engineer coming tomorrow - be really great to get "Robert" again as he has been the only one to methodically work from the house to the exchange - none of the others seemed to want to investigate outside my property. The engineer that turned up was booked as a "broadband boost green" job so did nothing more that test - decide it was ok - and leave. At 9 that morning the voice line was as scratchy as ever but by the time the engineer arrived there was nothing to hear. Next they are going to send a voice engineer and a broadband engineer at the same time. Again I just hope that they are prepared to venture out of the house and along the cable toward the exchange and investigate the state of the network rather than constantly trying to prove its a customer premises fault. Have you got a sound recording of the noise? Play it to them if it's not noisy at the time? CAB not FTTC enabled, not part of the 66% commercial plan. Not a BDUK area. I'm sorry, but that is a futile gesture .... Who's to say that the recording is even of the line in question. I just thought it might help them identify the problem based on the noise, if they've seen (heard!) similar before. I made a recording and placed it on youtube. The problem was bad on Sunday when I made the video and bad on Monday. Engineers arrives Tuesday and the problem has gone. He is not interested in seeing my recorded evidence and states the tests are all returning ok - until the problem returns there's not much he can do. We have had this on and off for the last couple of years, especially after loads of rain and wind. But >> ours << at the time sounded worse, you could also hear the HomeHub syncing up at 1 min into the recording. Every time an engineer turned up (conveniently on a dry day) it was fine and no noise, but the engineer did listen to the whole recording, they then flagged it as an intermittent line termination fault that was external, that way we wasn't charged. Over the last few months several homes on our phone pole and cabinet has had line issues and have had several engineer visits and one visit resulted in the engineer going to the cabinet where she tidied up some of the loose connections, and also did some work at the exchange, this seemed to of also solved our noise on our line. So if or when you report it, report it as an intermittent fault, that way they know its not always there. Crackly noises usually are a mix of almost random frequencies (Fourier Analysis) and generally contain a wide range of frequencies - starting in the low Audio Frequencies and spreading upwards into, for this purpose, the frequencies used by xDSL/Broadband communications, at generally lowering power levels. The ADSL Filter/Dongle/Splitter goes "straight-through" on the MODEM/xDSL socket, so the MODEM sees/hears" everything" arriving at its own input socket. The Filter is in the PHONE socket path only, and by definition must pass the AF frequencies essential for Speech to be heard and transmitted from the Phone Had-set; and also in this case, the AF frequencies of the crackles. To put it another way, that filter is not designed to prevent AF (low frequency) signals getting to the phone, so the LF/AF component of the crackle "must get through". The Filter is an HF REJECT Filter, preventing the xDSL/Modem/HF signals getting to the phone. I have taken such a Filter apart to confirm the above. Straight through on the MODEM/XDSL side. Filter is only in the PHONE side; and its components have very small values, so are associated with HF Rejection, rather than AF Acceptance. Particularly as you have already tried other filters and cables, the source of the crackle is almost certainly elsewhere. The filters are relatively simple circuits and very few components, unlikely to develop faults in normal operation.